​Powerbloc, powerbloc dry and Hawker XFC are ranges of bloc batteries for all applications in small traction, from cleaning machines to pallet trucks, industrial electric vehicles etc. as well as some domestic applications like wheelchairs, golf carts, etc. Powerbloc are flooded batteries when powerbloc dry and Hawker XFC are gas recombination batteries. These ranges can be recharged with 50 Hz (except Hawker XFC) or HF chargers. Powerbloc, powerbloc dry and Hawker XFC are ranges of bloc batteries for all applications in small traction, from cleaning machines to pallet trucks, industrial electric vehicles etc. as well as some domestic applications like wheelchairs, golf carts, etc. Powerbloc are flooded batteries when powerbloc dry and Hawker XFC are gas recombination batteries. These ranges can be recharged with 50 Hz (except Hawker XFC) or HF chargers. 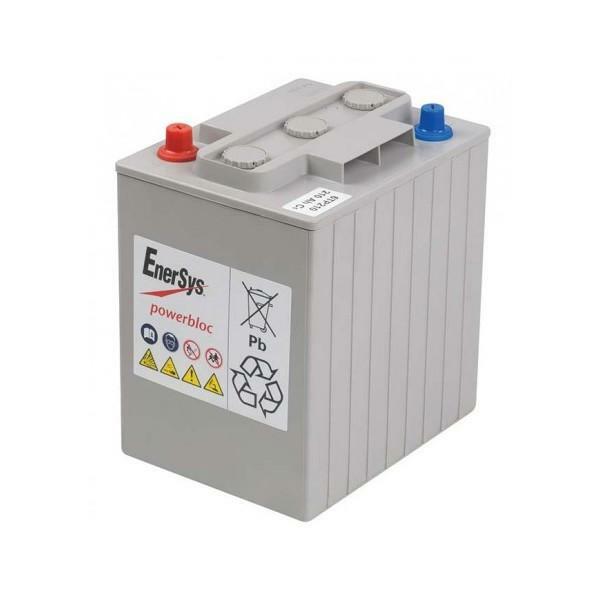 Installation - Battery monoblocs should be installed in accordance with the instructions from vehicles/trucks manufacturers (observe connection polarity, and mechanically robust installation). While operating on battery connections avoid short circuits. Maintenance - Keep batteries clean and dry to avoid current leakage. Clean the monoblocs with a damp cotton rag. Never use any organic solution. Operation and maintenance instructions for each product range should always be observed. The powerbloc FPT range has advanced flat grid plates and paste formulation giving extended service life. It is especially suited to arduous deep cycle semi-traction applications. • Advanced separator design and paste formulation gives true 700 cycle performance. • Enhanced performance gives extended running times and lower maintenance. • Superior performance means more productive run-time.